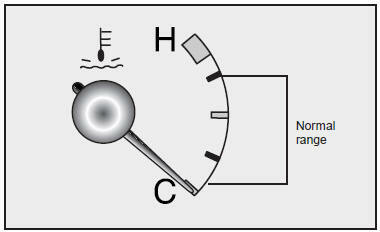 If the gauge pointer moves beyond the normal range area toward the H position, it indicates overheating that may damage the engine. Do not continue driving with an overheated engine. If your vehicle overheats, refer to “Overheating’’ in the Index.